Shall never be without kine. 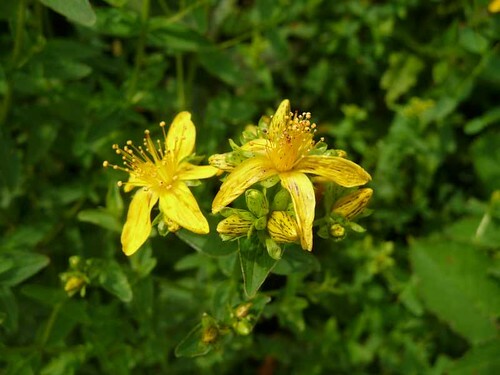 St.John’s Wort brings sunshine to the nerves. Calming anxiety, tension, menstruation, depression and extreme emotional states, it sedates you somewhat and reduces pain by calming the nervous system. Dry out the whole plant above ground and use it in tea. When you put the plant in oil it turns the liquid bright red. This oil can be used for sunburn, bruises and mild burns. A skin rub is made by adding melted beeswax to the warmed oil. When cold this is applied to wounds, bruises and burns. HERE is how to make the oil. Sometimes used for brewing beer, flavouring whisky and producing a red dye. 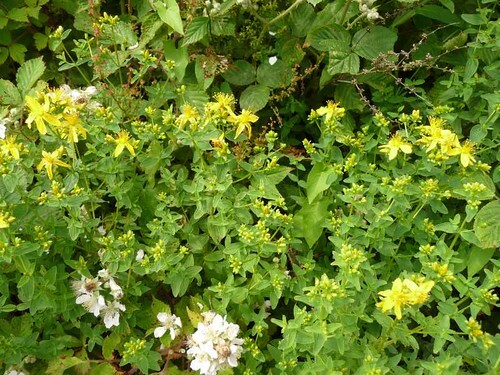 In those days before Christianity, St.John’s Wort was used to light the Beltane (May 1st) fire, the bringing in of Summer and the Winters end . 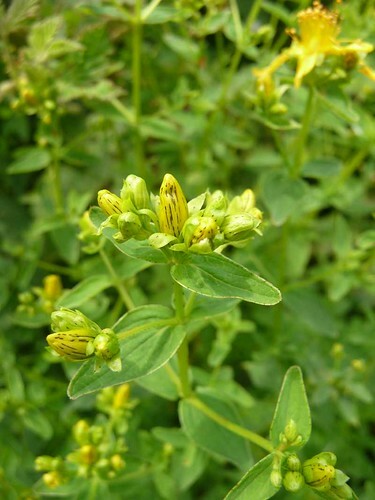 Its yellow flowers appearing around mid-summer, it is associated with the Sun and used widely in midsummer festivals and rites. The plant is well regarded for it’s protective qualities, ‘ ward[ing] away second sight, enchantment, witchcraft, evil eye, and death, and to ensure peace and plenty in the house, increase and prosperity in the fold, and growth and fruition in the field. Unsought by me, unlooked for! 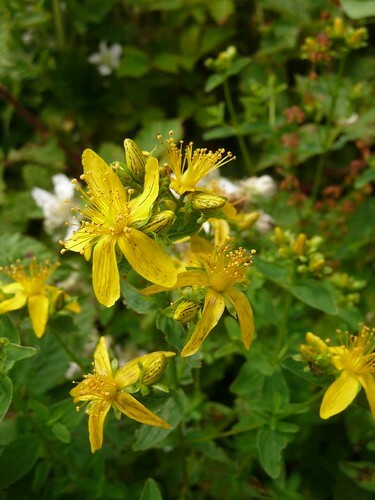 St John’s Wort grows on grassland, hedgebanks and open woods throughout Britain. Gather the top 6 inches of the plant when in flower. Do this as close to midsummer as possible for optimum potency.